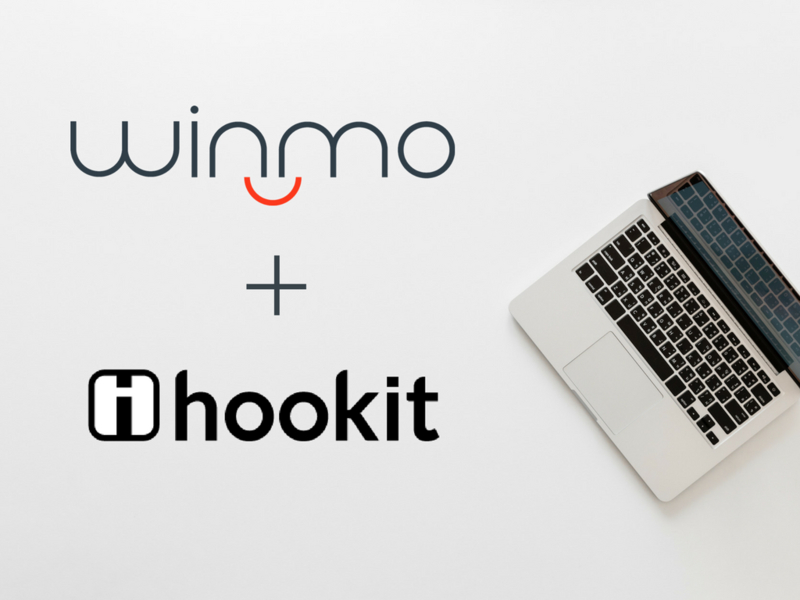 Winmo, North America’s leading provider of media/marketing sales intelligence, is expanding its role in the sponsorship sellers’ toolkit, integrating spend analysis from sponsorship analytics leader Hookit directly into its advertiser profiles. While Winmo, a product of List Partners LLC, provides verified decision-maker lists for those who control sponsorship dollars at thousands of brands, Hookit details where those dollars are being spent, plus the entities involved. In all, San Diego-based Hookit measures $5 billion in previously unknown sponsorship value each month, quantifying deal amounts that brands receive from athletes, teams, leagues, venues and events. With a breakdown of these allocations in Winmo, sponsorship sellers gain a 360-degree view of a potential sponsorship partner. Hookit data in Winmo sheds light on percentages of sponsorship spend across teams, leagues, venues and events, with additional data on specific partnerships and sample promotions. The integration is currently available to all sponsorship clients on Winmo’s top-tier subscription package, who will see Hookit’s analysis of sponsorship spend as well as sample promotions on some 2,000 select brand profiles in Winmo. 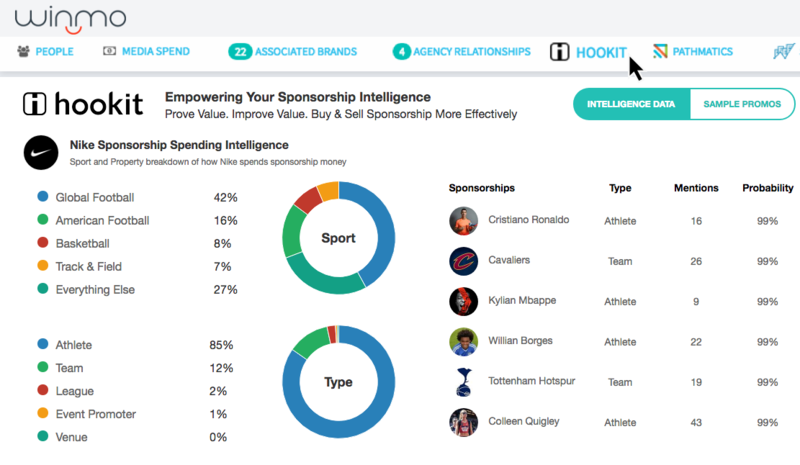 Hookit is the market leader of sponsorship analytics (#spontech) and valuation of sports sponsorships. It developed the first, most trusted platform in the global marketplace that effectively measures $5B per month of previously unknown sponsorship value that brands receive from athletes, teams, leagues, venues and events in social and digital media. Hookit aggregates billions of data points across TV, social, print, and digital media and uses machine learning and predictive analytics to provide real-time insights and valuations for brands and properties to quantify and maximize sports sponsorships. To learn more, visit www.hookit.com. Winmo is a sales intelligence solution that helps sponsorship sellers reach the right corporate partners at the right time. The platform’s human-verified profiles list marketing and sponsorship decision-makers at thousands of national brands, tracking contacts who control over $100 billion in spending each year. Intuitive search filters allow users to identify qualified buyers in their territory or target industry, who have a need for the exposure they provide. Additionally, it’s predictive publication WinmoEdge shines a light on pitch-worthy accounts, analyzing tell-tale signs that sponsorship spend is on the horizon to alert sellers in advance. Armed with verified contact details and reliable sales predictions, Winmo users get ahead of new business leads, instead of chasing them. For more information and to request a trial, visit www.winmo.com. Marilyn has helped media, sponsorship and adtech sales professionals build winning prospecting strategies for the past decade, cultivating a deep understanding of the advertising industry and players within it. In her current role as Product Marketing Director at List Partners Inc., Marilyn takes pride in fueling growth and profitability by empowering sellers to win more business.